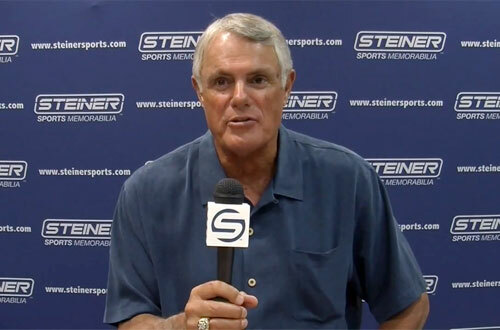 GARDEN CITY, N.Y. — Former MLB manager, Lou Piniella, is scheduled to appear on Thursday evening on July 23, 2015 from 6:30 pm to 8:00 pm to meet and greet fans where he will sign autographs and memorabilia at the Steiner Sports Store located in the Roosevelt Field Mall in Garden City, NY. For more information, click here. Lou Piniella is a former MLB outfielder and manager. He played for the Baltimore Orioles, Cleveland Indians, Kansas City Royals and New York Yankees. He has been nicknamed “Sweet Lou,” both for his swing as a major league hitter and, facetiously, to describe his demeanor as a player and manager. He finished his managerial career ranked 14th all-time on the list of managerial wins. On February 22, 2012, it was announced Piniella would join the YES Network as an analyst for Yankees games. He made his YES debut on March 4, 2012. Sports Speakers 360 is a booking agent for motivational sports speakers. If you would like to book Lou Piniella for a personal appearance, contact Lou Piniella’s booking agent for appearance & speaker fees at 1.855.303.5450.